バルディビア1575バルディビア地震 157512161575年12月16日 チリ バルディビア沖 9.5程度? スマトラトウオキ1833スマトラ島沖地震 183311251833年11月25日 インドネシア スマトラ島南西部 8.8 - 9.2程度? カケン華県地震 155601231556年1月23日 中国 陝西省 820,000 - 830,000? トウザン唐山地震 197607281976年7月28日 中国 河北省 242,419 - 779,000? ハイチハイチ地震 201001122010年1月12日 ハイチ ポルトープランス 222,570 - 316,000? - 05260529526年5月29日 トルコ アンティオキア 250,000? アレッポアレッポ地震 113808091138年8月9日 シリア アレッポ 230,000? 洪洞地震 1303年9月17日 中国 山西省 200,000以上? - 08561222856年12月22日 イラン ダムガン 200,000? ^ “The Gibraltar Arc seismogenic zone (part 2): Constraints on a shallow east dipping fault plane source for the 1755 Lisbon earthquake provided by tsunami modeling and seismic intensity”. Tectonophysics 426: 153–166. (2006). Bibcode: 2006Tectp.426..153G. doi:10.1016/j.tecto.2006.02.025. http://www.sciencedirect.com/science?_ob=ArticleURL&_udi=B6V72-4KBX4F6-1&_user=10&_coverDate=10%2F30%2F2006&_rdoc=1&_fmt=high&_orig=gateway&_origin=gateway&_sort=d&_docanchor=&view=c&_searchStrId=1686129586&_rerunOrigin=scholar.google&_acct=C000050221&_version=1&_urlVersion=0&_userid=10&md5=03712ebb4ba96cc63271c6c93369c1e0&searchtype=a 2011年3月20日閲覧。. ^ Historic Earthquakes Lisbon, Portugal 1755 November 01 10:16 UTC Magnitude 8.7 Archived 2013年3月7日, at the Wayback Machine. ^ Pararas(2010) (PDF) George Pararas-Carayannis., SCIENCE OF TSUNAMI HAZARDS. 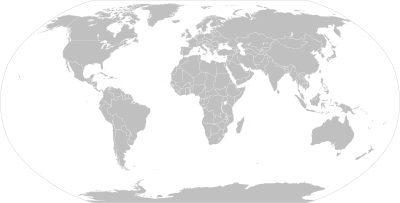 Journal of Tsunami Society International Vol.29, No.2, 2010. ^ Okal(2006) (PDF) Okal, E.A. ; Borrero J.C. and Synolakis C.E. (2006): Evaluation of Tsunami Risk from Regional Earthquakes at Pisco, Peru. Bulletin of the Seismological Society of America 96 (5): 1634–1648. ^ a b Johnson, J.M., Y. Tanioka, L.J. Ruff, K. Sataki, H. Kanamori, and L.R. Sykes, 1994, The 1957 great Aleutian earthquake, Pure and Appl. Geophys., 142, 3-28. ^ Fujii2013 Yushiro Fujii, Kenji Satake(2013)：Slip Distribution and Seismic Moment of the 2010 and 1960 Chilean Earthquakes Inferred from Tsunami Waveforms and Coastal Geodetic Data, Pure and Applied Geophysics, Volume170, Issue9-10, pp1493-1509. ^ Johnson(1996) Johnson, J.M., K. Satake, S.R. Holdahl, and J. Sauber, The 1964 Prince William Sound earhtuqke: Joint inversion of tsunami and geodetic data, J. Geophys. Res., 101, 523-532, 1996. ^ Christine Chesley, Peter C. LaFemina, Christine Puskas, Daisuke Kobayashi. 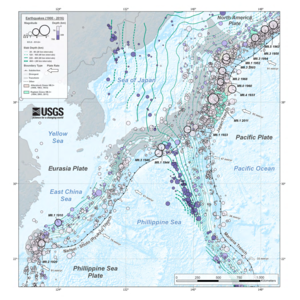 (2012).The 1707 Mw8.7 Hoei earthquake triggered the largest historical eruption of Mt. Fuji, GEOPHYSICAL RESEARCH LETTERS, vol. 39, L24309.